As we learned last year, the second Sunday in May is known as Mother's Day. Unfortunately, this e-mail from TAZA Chocolate leaves out the apostrophe in the name of the holiday and adds an errant one to the phrase "mom's love chocolate [sic]." I'd stick with flowers. Or Rolling Stones tickets. And what is that woman doing anyway? Wait, don't answer that. This is a family blog. Quotation marks in place of an apostrophe? Really? I Don't Even Know What This Means! Can anyone explain what that expression even means?Unfortunately, the photo didn't come out very well because I took it with my cameraphone. Having a camera would have come in handy later in the night when my friend got up on stage and flashed the drummer. The next poorly punctuated sign is even harder to read. 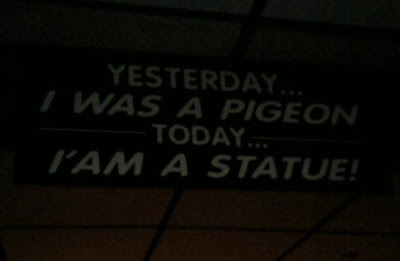 This sign also uses I'am. Weird! I'have never seen that one before! She was surprised that the shirt was not on the clearance rack. 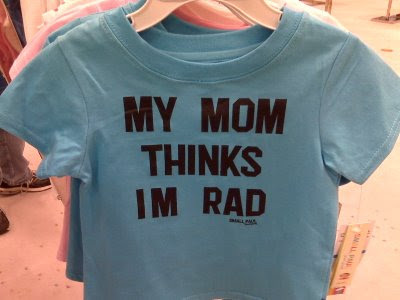 What is it about printing text on shirts that causes people to lose their grasp of the English language? 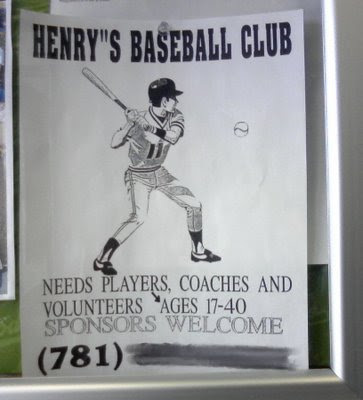 Even Major League Baseball can't get it right. McCormick & Schmick's seem to think that this week is dedicated to just one administrative professional. According to the International Association of Administrative Professionals, Administrative Professionals Week should be written without an apostrophe. It's also wrong to refer to one person as "they." Thanks to Nancy for forwarding me this gramatically incorrect promotional e-mail. Finding punctuation mistakes and grammatical errors on restaurant menus is like shooting fish in a barrel. Betsy found these two in one week and considered starting her own blog to document apostrophe catastrophes, but she found me instead. On the first menu, the writer added an apostrophe at the end of Elizabeth but neglected to add an s.
Punctuation errors aside, I don't think it's very wise to advertise food on a tissue box. Those two items should not be associated with each other. Just ask Domino's Pizza. My friend Carrie sent me a photo -- all the way from Lisbon! 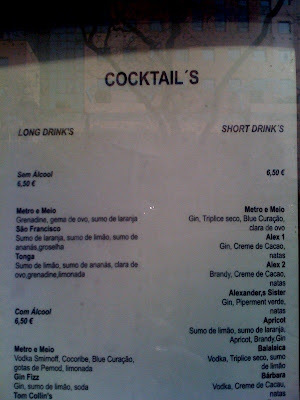 -- of a drink menu that's drowning in apostrophe catastrophes. 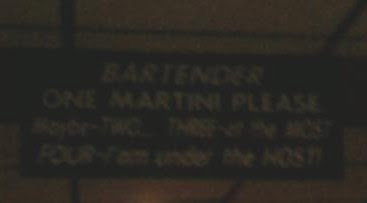 You can get cocktail's, long drink's, and even Tom Collin's. Click on the photo above, and you'll find many more errors. 1. He paraphrased the adage "Liquor before beer, you're in the clear; beer before liquor, never sicker." 2. He told me to never drink Coors beer, for political reasons. So, I was thrilled when my roommate Molly texted me this apostrophe catastrophe that she found at a hockey arena in Manchester. I'm a fan of any team that makes Coors look bad. 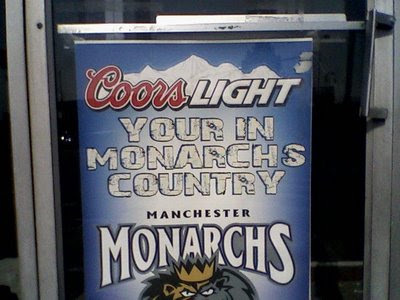 Political issues aside, I think Coors Light tastes pretty terrible. And what's with their ads that claim they have the coldest beer? Unless their six-packs come with their own fridges, that can't possibly be true. 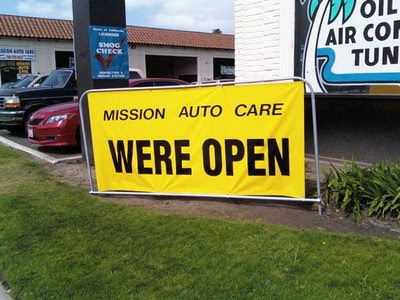 If this car care shop went out of business, this sign is correct. If not, we've got an apostrophe catastrophe on our hands. Thanks to Linda for sending this one in! I've been blogging about bad punctuation for one year* and two days now, so I thought I had seen all of the possible ways to misuse an apostrophe. But I was wrong. I received the photo below from another punctuation stickler named Becky. 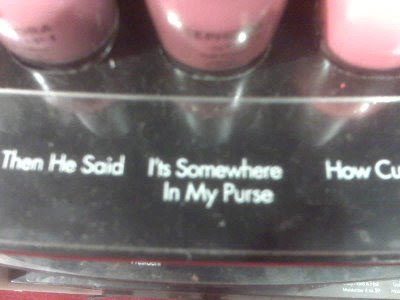 She spotted this bizarre apostrophe catastrophe at a Sephora in Seattle. I-apostrophe-t-s?!? Maybe the person who wrote the sign was inhaling toxic cosmetics or something. I am speechless. How is tonight different from all other nights? Well, for me, it's really not. Although it's the first night of Passover, the only thing I'm doing to celebrate is posting a Jewish-themed apostrophe catastrophe. Learn-hebrew-names.com invites us to research boys & girls names, girl's names, boy's names, and -- as if that wasn't enough! -- girls's names. They get it right at the top right of this page, but the left-side navigation is a shonda. Thanks to John for sending this one in. L'chaim! 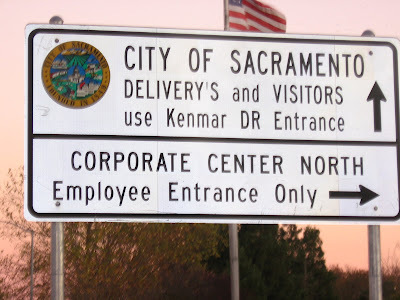 Like Dana, who snapped this photo, I was shocked to see such a glaring error on an official sign in the capital of California. She admits that the falafel was pretty good, but she wouldn't say that it bought her, whatever that means. Besides the obvious apostrophe catastrophe, this sign lacks a period at the end of the sentence, and I think that comma should be a semicolon. 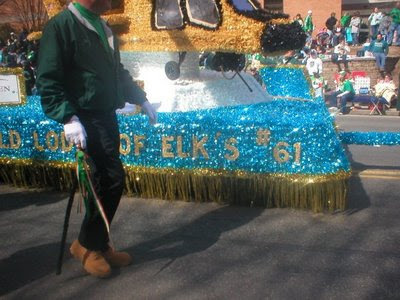 I thought we were done with St. Patrick's Day apostrophe catastrophes until Scott uploaded this photo from the parade in Holyoke, Mass., to the Apostrophe Catastrophes facebook group. The errant apostrophe is small among all the turquoise tinsel, but it's definitely there. 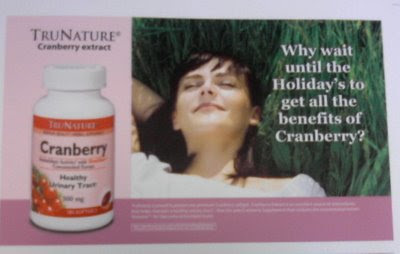 The person who wrote the text of this Internet ad is clearly the dumb one. Thanks to Lori for posting this your/you're confusion to the Apostrophe Catastrophes facebook group.